What better way to start the day than with these delicious Portuguese style pancakes with strawberry sauce (panquecas com molho de morangos). In a pot heat the chopped strawberries, sugar, lemon juice and cinnamon stick. Stir and simmer for about 20 minutes. Stir occasionally with a spoon so that it does not stick to the bottom. 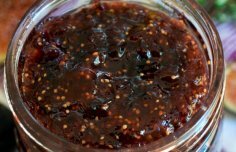 After 20 minutes and when the sauce begins to thicken, remove the cinnamon stick and lightly blend with a hand blender, stir and put aside. Finally, stir and set aside. 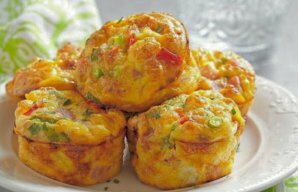 In a blender, place the cracked eggs, flour, sugar, baking powder, vanilla extract, the melted butter and milk. Blend everything until you get a homogeneous mixture. In a non-stick skillet, add a little butter and heat. In the center of the frying pan, place a small amount of dough. Cook on medium / low heat for about 1 and 1/2 minutes. When the pancake is golden, turn and cook the other side for a few seconds. Once it's golden brown on both sides, remove with a slotted spoon and place it in a serving dish and cover the pancake with a little sauce. Repeat the process and make sure the pancakes are all the same size. For each 2 pancakes, add a little more butter in the skillet. You can serve individually by placing 3 pancakes on each plate or you can make a tower. If you do not want to use the whole dough at one time, you can store it in the refrigerator for up to 2 days. If you want you can accompany these pancakes with natural yogurt or whipped cream. 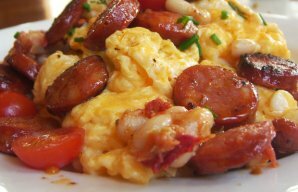 This Portuguese chouriço (Sausage) scrambled eggs recipe is easy to make and a great breakfast meal to start the day.